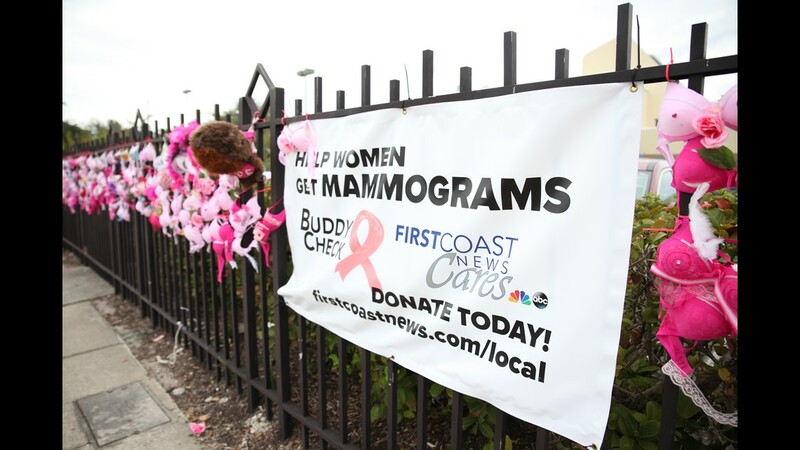 Driving down North Georgia Street, right across from TIAA Bank Field, you'll see a wave of pink bras sprawled across the front gates of First Coast News. "Kiss cancer goodbye" reads a bra decorated as Hershey Kisses. 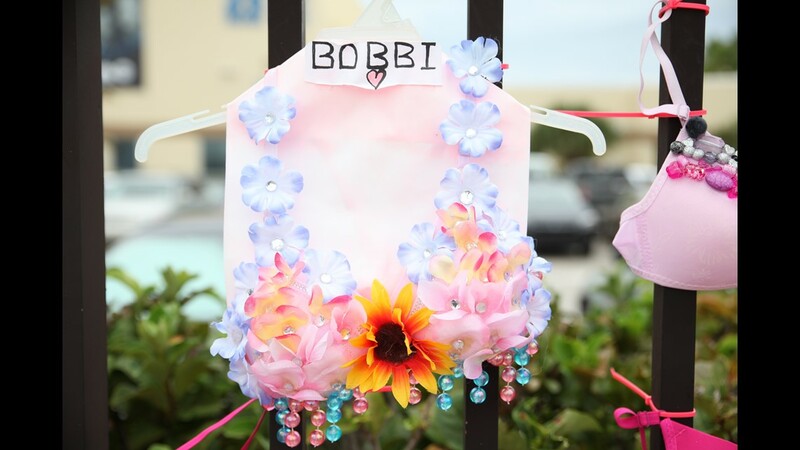 "In loving memory of mom" reads another bra with angel wings. 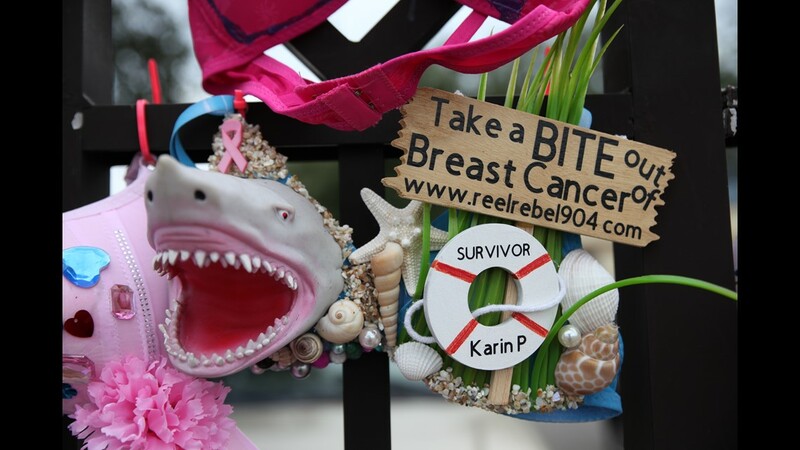 "Take a BITE out of Breast Cancer," says the bra with a shark. All in all, the messages they display share the common goal of joining the effort to save a life from the disease. For the past few months, First Coast News has been working with several local organizations and communities to try and sell these Buddy Bras for $20 each in hopes to raise $1 million toward our joint effort with Baptist MD Anderson in buying the Buddy Bus. The bus is a mobile mammography unit that will help bring residents in our local counties easier access to mammograms. "Buy a bra, save a life," the motto reads. So far, nearly half a million dollars has been raised. The overall goal is $1 million. 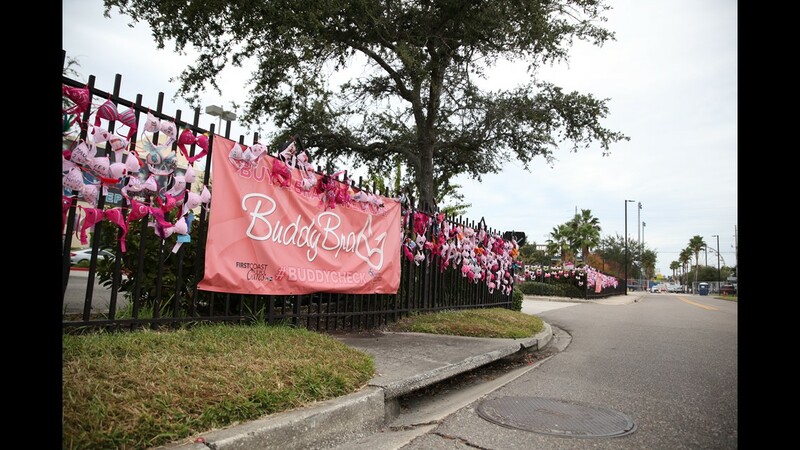 Folks can still buy a Buddy Bra and decorate it for the First Coast News fence. If you'd like to buy a bra, contact Jeannie Blaylock directly via email jblaylock@firstcoastnews.com. 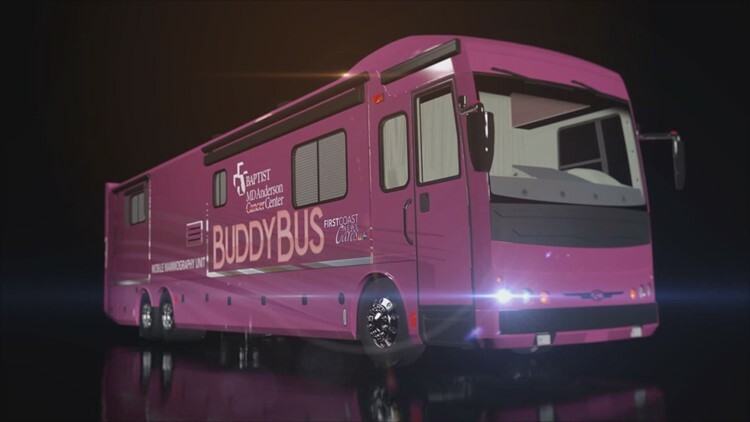 Click here to donate for the Buddy Bus.